Lots of companies in the world use Salesforce.com as an efficient way to boost marketing, sales, and collaboration amongst the teams. It’s no wonder why this CRM software offers hundreds of integrated solutions, electronic signatures being no exception as they can greatly improve your overall contract management workflow. In this post, we’ll describe best Salesforce eSignature vendors so you can easily navigate through the AppExchange painlessly. Read also: How many apps are in the Salesforce AppExchange? Before we dive in, let’s clear up a few things and define an electronic signature, its legality, and how they work. An electronic signature is a signature that helps to sign any digital paperless document. There are a few ways you can complete an electronic signature: digits, your fingers or letters. The main purpose of eSignature is to identify you as the correct signer of a document. There is no definitive answer to the question of electronic signature legality. First, it largely depends on the location, or the country where you are doing business. In the U.S., Canada, Australia, countries from the European Union and others, almost 30 countries, eSignatures are completely legally-binding. So before you electronically sign a contract or document, make sure it is legal to do so in that country. When speaking about electronic signatures, remember that they are not the same as a digital signature. Electronic signatures refer to any online signature, whereas digital signatures have strict security measures. Digital signatures are coded and encrypted signatures and feature a unique combination for both signing parties. It’s a complicated process but electronic signature vendors take care of the work so you don’t have to. The biggest differentiator is that two keys should match – that’s it. Now, we can describe the best Salesforce eSignature vendors and the best eSign software of 2018. All you have to do is search for an appropriate eSignature provider on the Salesforce AppExchange. Read our list below so we can lend a hand. With PandaDoc, you can easily create personalized sales proposals and contracts inside Salesforce CRM, so there is no need to buy additional software to capture legally-binding eSignatures. The unified workflow saves time and increases efficiency. PandaDoc all-in-one software provides great sales document generation and analytics. They’ll let you know details like when the document was opened, where it was viewed, and how much time a customer spent on each page. And remember: you do this right within your Salesforce account. Pricing model: the Salesforce eSignature integration is available only with a PandaDoc Enterprise plan. It starts at $89 per user per month and is billed annually. Adobe Sign Salesforce is an oldie on the AppExchange. The tool has helped to improve legal compliance since 2006. Now it has more than 3000 eSignature reviews and is highly rated among users. 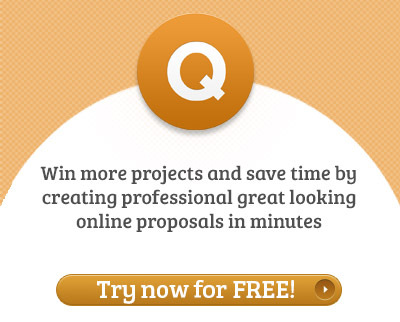 The app will help to close deals faster with an automated proposals and contracts process. It works on any device and in any Salesforce-supported language. Pricing model: free 30-day trial. Other details are available upon request. This integrated software presents itself as the AppExchange’s favorite electronic signature app. The data easily proves it: DocuSign is used by more than 300K companies and 200 million users. This DocuSign Salesforce eSignature allows you to send documents for signature from any device at any time – it is super-easy and super-fast. Pricing model: free 30-day trial. Paid plans start at $12 per user per month. Enterprise and custom solutions are available upon request. There are discounts for non-profits too. This Salesforce eSignature app provides great intuitive experience even on-the-go with mobile and tablet versions. With Conga Sign, users can easily create personalized documents in Salesforce and deliver them in an automated way – signers don’t even need a license. Moreover, this Salesforce eSignature solution allows you to track your eSignature process from start to finish. Pricing model: $20 per user per month with 10 users minimum. Discounts are available for non-profits. RightSignature Salesforce app allows users to sign and fill out documents online on any mobile device or in any web browser. Moreover, it offers a comprehensive set of features with monthly new releases. To begin using this Salesforce eSignature tool, users need up to 15 minutes. After that, you’ll realize why market-leading companies have chosen them to sign documents online inside Salesforce. Pricing model: free trial. The price for one user is $14 per month. Up to 10 users, it’ll cost you $49 per month. This application for Salesforce offers a straightforward UX so your customers will quickly realize how to sign documents and send them back. In general, HelloSign is easy to use for all parties. In this one of the best eSignature tools for Salesforce as users can manage templates right inside Salesforce, fill them in with data from your records, and can view reports and dashboards, etc. Pricing model: free 30-day trial. Salesforce integration is available for those who are on the HelloSign Enterprise plan. The price starts at $5 per user per month plus the rate of the Enterprise plan. This Salesforce eSignature tool is now called OpenSpan Sign and allows sending and getting secure electronic signatures anywhere from any device. The solution has become the choice for banks all over the world, government and insurance agencies, and others. G2Crowd recognized it as “Best software for sales teams” in 2017. Like other best Salesforce apps, eSignLive allows tracking and managing documents and signatures in real time. Pricing model: free 30-day trial. The price starts at $20 per user per month. Discounts are available for non-profits. With this Salesforce eSignature app, users can easily manage their entire document lifecycle inside Salesforce. Simply use data fields in your CRM and send them to customers or any other recipients. Notably, this Salesforce eSignature tool provides you with a sophisticated workflow that users can use secure certified, typed or even biometric signatures. The application is run without downloads. What is more is that you can provide with an email signature to make your Salesforce email signatures 100% brandable. Pricing model: starts at $35 per user per month paid annually. Any other pricing details are available upon request. Discounts are available for non-profits. With Sertifi, users get one of the best electronic signature apps for Salesforce. It offers an intuitive interface and great customer support plus quick installation. Sertifi helps to sign documents faster, automate processes, increase close rates, and improve overall productivity. Pricing model: A free trial available. The price starts at $30 per user per month. There are discounts for non-profits. Signing and tracking documents in real time is much easier with this Salesforce eSignature solution. The tool allows sending templates for signing by multiple people at once and tracking them inside Salesforce. SignNow also allows working with templates and modifying them according to your needs. You can add additional fields, Salesforce annotations, create document groups, request attachments, track documents’ signature statuses, and do many other operations. On the AppExchange, you can find plenty of eSignature solutions for Salesforce. However, the tools described above narrow your search so you can easily choose the one that meets your requirements and start sending documents for signing right inside Salesforce immediately. 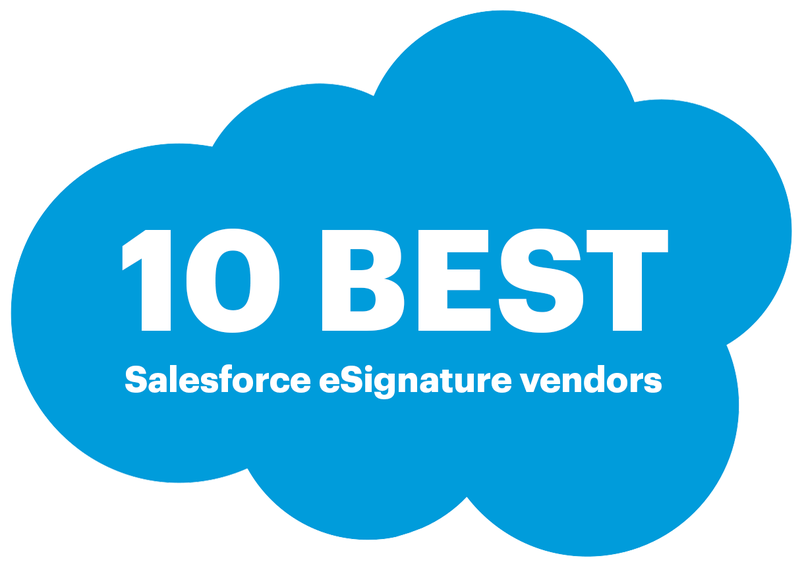 What is your favorite or in your opinion the best electronic signature tool for Salesforce? Share them with us in the comments below.